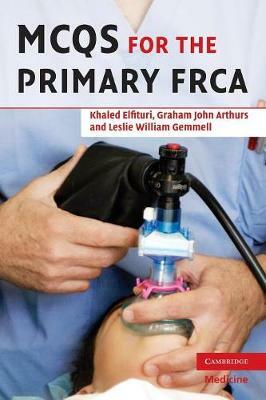 Designed for candidates sitting the primary FRCA examination, this book brings together exam questions from recent years and structures them into six practice papers. The format of 90 questions per paper echoes the exam itself. Following each paper a scoring chart and detailed explanations of answers are provided. The questions cover physiology, pharmacology, physics, clinical measurement and statistics as they appear in the primary FRCA. There are questions on all recently added exam topics, and those that now carry stronger emphasis and more weight such as resuscitation, sepsis and trauma. The latest drugs, equipment, monitoring techniques and safety procedures are referenced. Trainees will find this an invaluable tool for exam preparation, whether sitting the FRCA in the UK, through the London College external examiners in many Asian and African countries, or similar exams for anaesthetists in Australasia and North America.